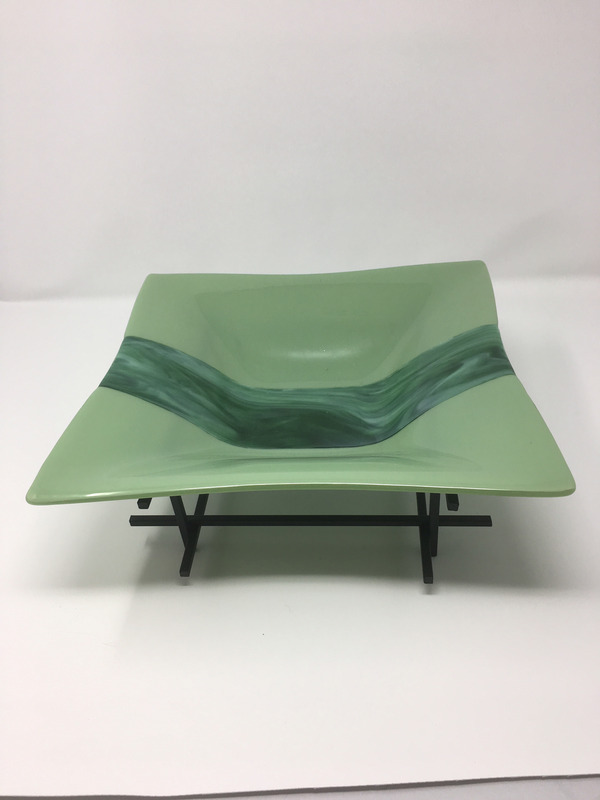 This 12 x 12 celadon green bowl has a strip of aventurine green and clear in the center. This item is not microwavable and should not be put in a dishwasher or oven. The square wrought iron stand is sold separately.